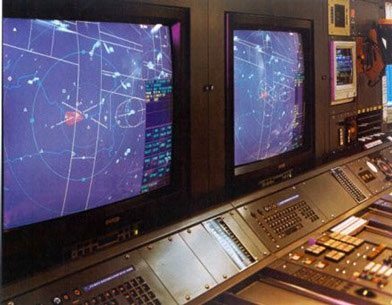 Industrial-grade computers are strategic to plan and fit critical military activities. Powered by Intel Core i7-3610QM 2.30GHz Quad Core CPU, this S17 panel PC best fits the military workforce. Also, a full IP68K rated rugged enclosure, the device has a wide working temperature range. Offensive. Defensive. Stability. Or, even support operations. You name it. Our 17” embedded touch panel PCs are best designed for the military’s different scenarios. Each military operation uses proven tactics, techniques and procedures. To meet these challenges on every enemy situation, the military requires advanced technologies. Hence, they need a reliable computing system – integrated to their combat operations. S17 client touch panel devices are the perfect equipment for their tactical operations. Sealed to protect from water damage also, any ingress may not affect this device at all. It can withstand the shock and vibration too such as driving an all-terrain vehicle. Now, what makes it different from other PC enclosures? To help you out with your decision, here is a quick comparison. Our 17” embedded computing system compared to a common 19” enclosed PCs in the market today. Whilst 19” panel computer is bigger, the S17 rugged panel PC has a capacitive touch display. Projected capacitive touchscreens are responsive when compared to resistive touchscreen-enabled devices. If you look into its sealing features, S17 can handle wider range of working environment. It is NEMA sealed with IP69K rating. Thus, it is not only dust tight but it can also withstand powerful high temperature water jets. Unlike normal panel devices, it is only IP67, which means resistant from dust and water up to 1 metre depth. Aside from this, our rugged touch panel PCs have also other features. It has a built-in Watchdog timer to track, login, and control the entire computing system. You can have it customised according to your operating systems. And, you can integrate it with your flight refuelling systems and radio equipment for the navy, to name a few. What have been your thoughts upon looking at the specifications in the table above? For sure, you will determine which one has more features and benefits to offer. Although industrial computing devices have the same specifications, choose only the best. S17 panel may be quite a huge investment, but you can always guarantee that it is the best value for your money. Take note that we offer a standard warranty of 3 years but it has an extended option of 5 years or even more. Don’t hesitate to contact us for queries. Problem viewing the content? You can view and download PDF version of the content here.